If you had the chance to turn back time, what year would you like to relive? Would you go back just a few years, would you go back to your teenage years, would you go back to the days of being a baby, or would you go back to being a young and curious child? If we had the chance, we would relive our childhood all over again – because we definitely did not appreciate all of the naps we got to enjoy. Yet, we would also go back to enjoy all of the epic toys we got to surround ourselves with. Sure, there were some parts of being a kid that we wouldn’t want to relive, but who cares about a few boring hours at school when you can spend recess playing with your latest toy store purchase? Over the years, there have been many toys that have stood the test of time. They have become iconic, they have become legendary, and they have adorned the shelves of almost every household around the world. Of course, we’re talking about the likes of Cabbage Patch Dolls, Leap Pads, Rubik’s Cubes, View-Masters, Barbie Dolls, and LEGO Blocks. Most of these toys are still in production today and just as famous as they once were. Yet, have you ever wondered why they have lasted so long? Well, it seems it might have something to do with the fact that they are deemed ‘safe’ by the Consumer Product Safety Commission and have been allowed to continue their production. Sadly, there are other toys that we used to play with that haven’t passed these tests. In fact, they failed these tests a long time ago! Some of the toys that we used to play with all of the time have since found their way into the toy hall of infamy and are now considered to be dangerous. Is your favorite childhood toy on this list? When we were younger, we loved nothing more than pretending we were CSI detectives looking to catch the bad guy and save the world from villains. Because of this, we were over the moon when we were finally able to put these skills to the test. Hurrah! 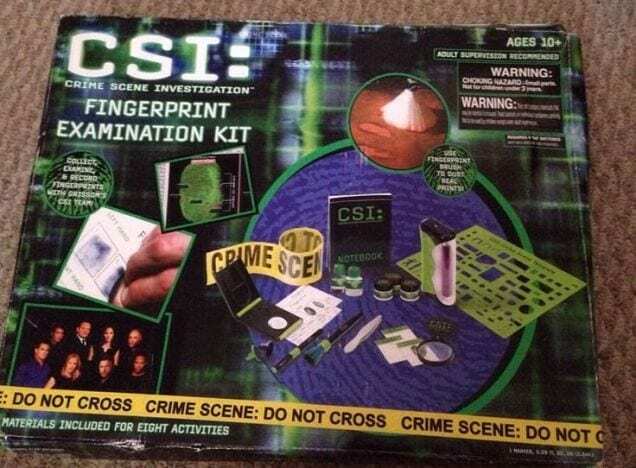 The CSI: Investigation Forensics Lab Kit, as well as the CSI: Fingerprint Examination Kit allowed children the chance to dust for fingerprints and solve cases that only the best detectives could do. Yes, the children of the world were donning their white coats and detective brushes – but they had no idea that the ‘dust’ they were brushing away contained a huge amount of the toxic substance, asbestos. We all hoped that we would just wake up one day and be able to fly when we were younger, but sadly it never happened. Instead, we had to settle for making other things fly, and would constantly ask our parents for radio-controlled planes that we could take to the local park and launch to our heart’s content. 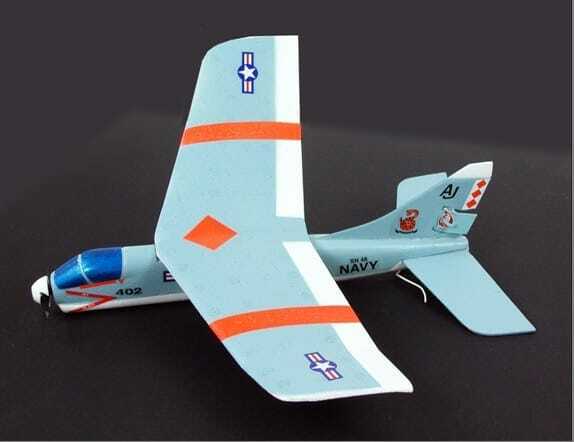 In 2007, the Sky Rangers Park Flyer Radio-Controlled Plane was a new toy on the market and was immediately snapped up by kids around the globe. Unfortunately, this plane was not quite ready for action, and would often blow up in the hands of these kids. When these burns came to their attention, the company recalled the planes. If you cast your mind back to 2007, you might remember a toy that was making the rounds as one of the coolest in the world. Bindeez gave users the chance to place small plastic colored dots into the shape of their choice, before spraying them with water so that they would solidify as one solid design. Although it seemed like the perfect toy to keep kids busy for hours, the Chinese manufacturing company in charge of making this product had to stop production after it was discovered that they were using a harmful chemical to save money. As children, we used to love building things and putting things together. Whether this was with LEGO pieces or toys like Magnetix, we would spend all of our time creating giant shapes and cool structures. 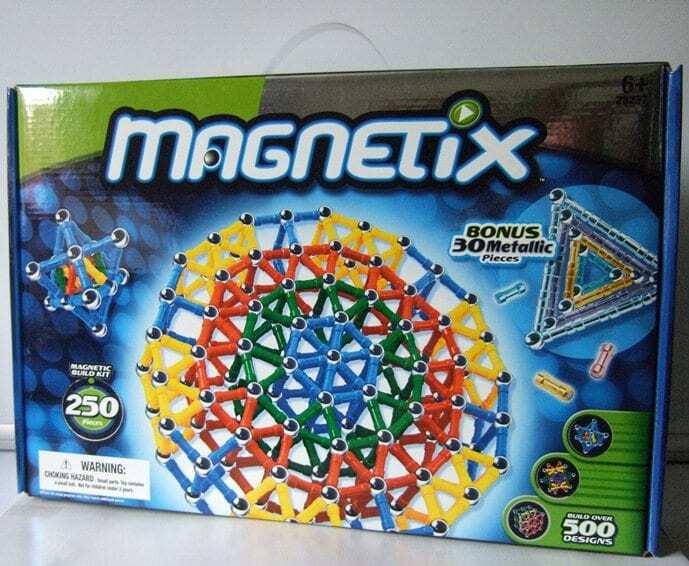 While these Magnetix pieces proved to be extremely popular with kids across the world, they also proved to be incredibly dangerous. Many of the plastic pieces would break apart easier than they should have done, leaving strong and small magnets on their own. Sadly, magnets cannot be digested, and will instead connect with each other in your body, causing havoc with your internal organs. 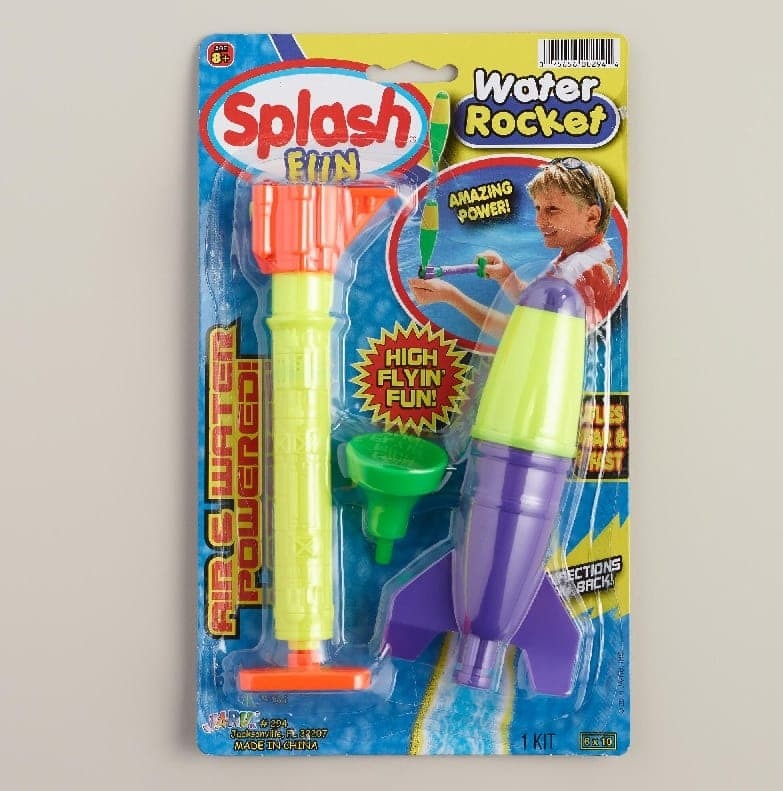 The ‘90s was full of some of the coolest toys known to humankind, and when the Splash Off Water Rocket came into our lives, we were overjoyed to have the chance to launch our very own rocket. The concept of this was simple. 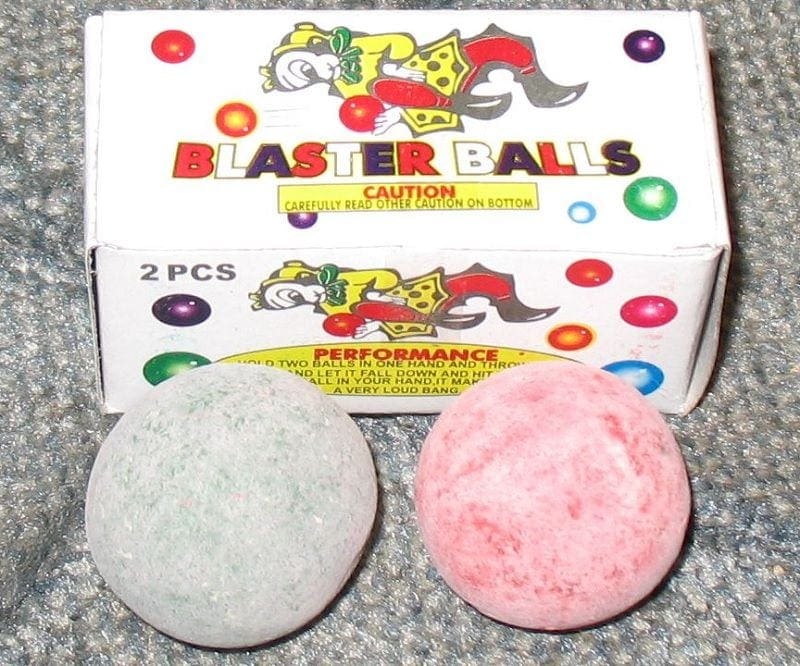 You filled it with water, before pumping the rocket full of air to make it blast off into the atmosphere – or your backyard. However, as the air pressure increased in the water-filled rockets, they had a slight tendency to explode. Obviously, this was not the greatest party trick. 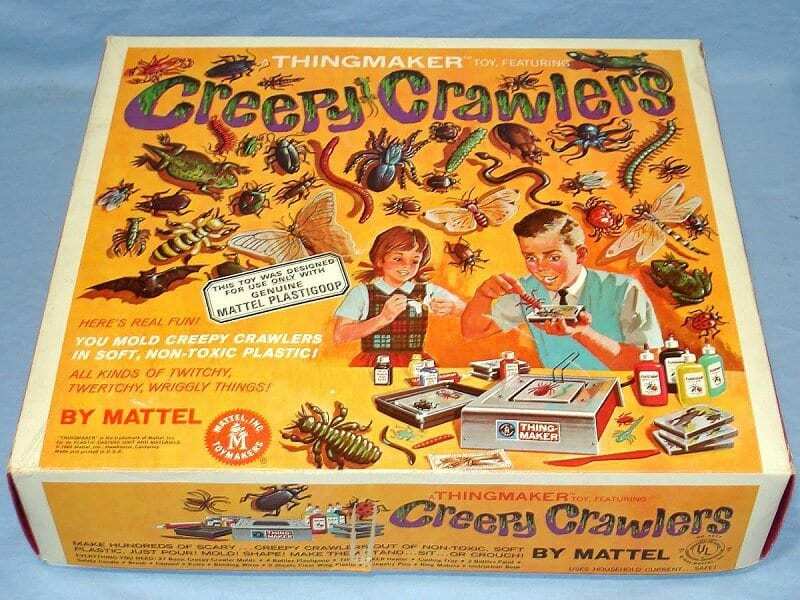 When you think about it, the concept of the Creepy Crawlers toy was actually pretty awesome. You got the chance to create your own bugs and creepy crawlies, and we’re sure that most of you would probably jump at the opportunity to do this now. Unfortunately, the idea was there, but the practicality of the toy definitely wasn’t. To create these bugs, children had to melt supposedly ‘non-toxic’ plastic over a glorified grill. Whether it was toxic or not, giving children boiling hot plastic to play with probably wasn’t the best idea. 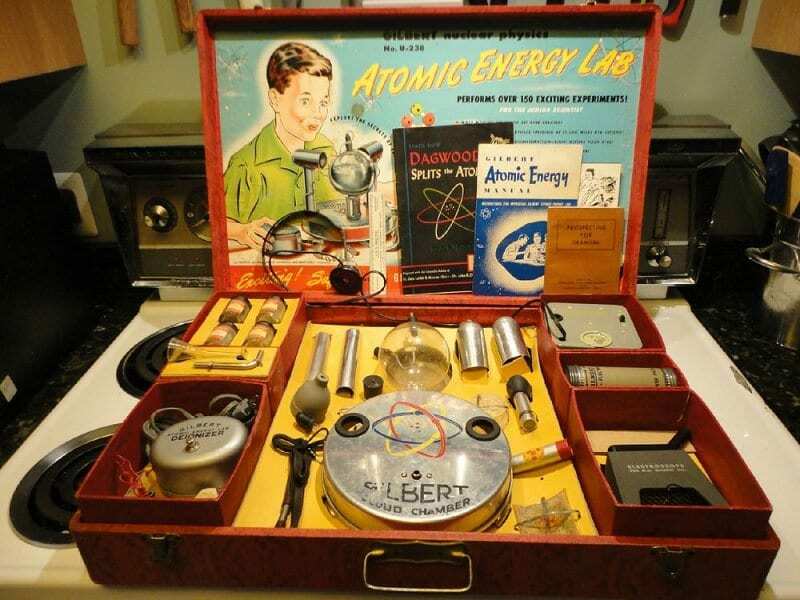 Children’s toys come in all shapes and sizes, but none have ever been quite as notorious as the Atomic Energy Lab. 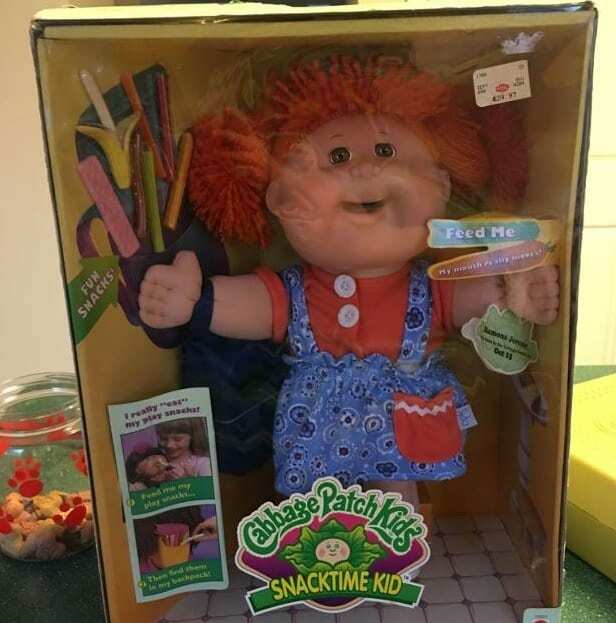 This toy allows children to get their fix of physics in their own home and supplied them with their very own samples of alpha, beta and gamma particles, as well as their own little pot of uranium ore. Considering these are all radioactive substances, we feel like the company in charge of this product should have thought about this a little more. Thankfully, it was taken off the shelves a year later. If you weren’t allowed a trampoline in your backyard when you were younger, you might have sulked for a bit – but then you might have compromised and asked for Moon Shoes. 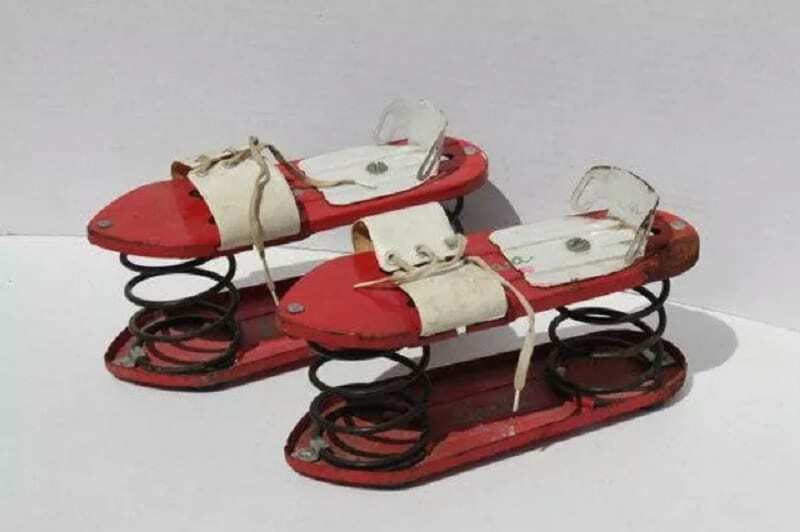 These toys gave you the opportunity to have your very own trampolines on your feet so you could bounce around and go about your day in a hop, skip and a jump. While the idea was a genius one, the original development of these shoes certainly wasn’t. The metal from these shoes would regularly come loose and injure the feet of those wearing them. Have you ever wondered why toy boxes come with warnings? Well, it seems that we have Battlestar Galactica Colonial Viper to thank for this. Actually, we kinda don’t want to thank them. 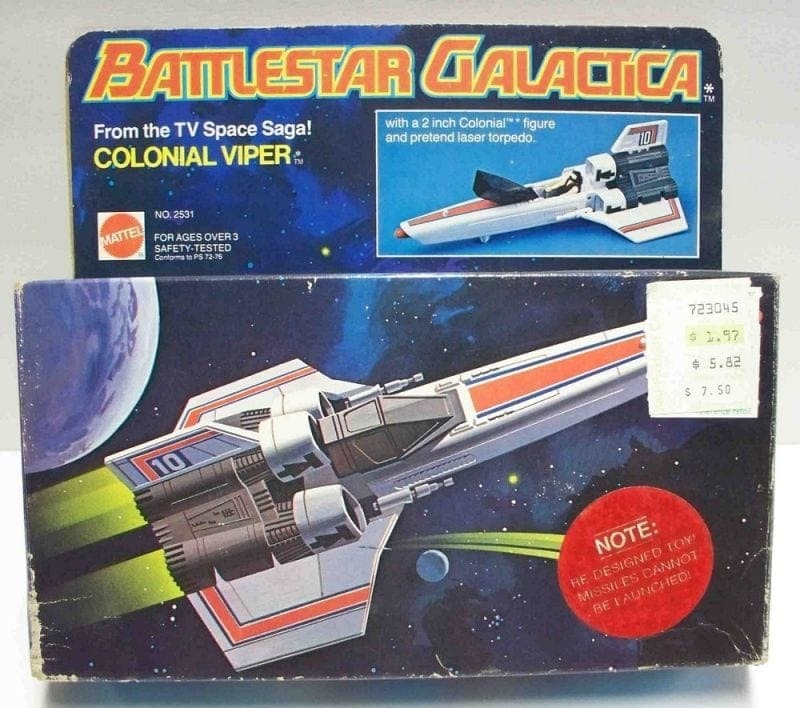 With the ability to space missiles around the room, this spacecraft was a huge hit with Battlestar Galactica fans when it was in production. That was until the tiny missiles suddenly made their way into a child’s mouth. 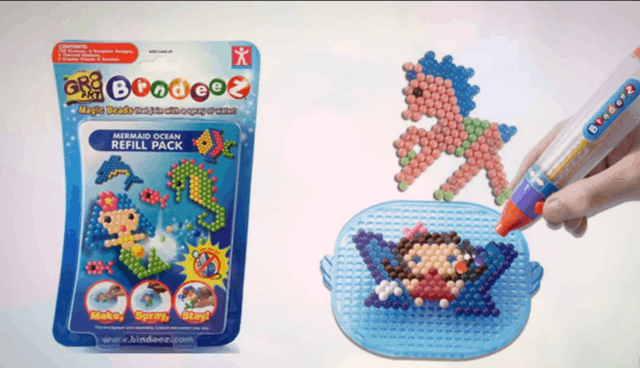 After the passing of the child, toy companies around the world added warnings to their products about small pieces within their products. There are certain things that kids just don’t need to learn at such a young age, and glass blowing is definitely one of them! 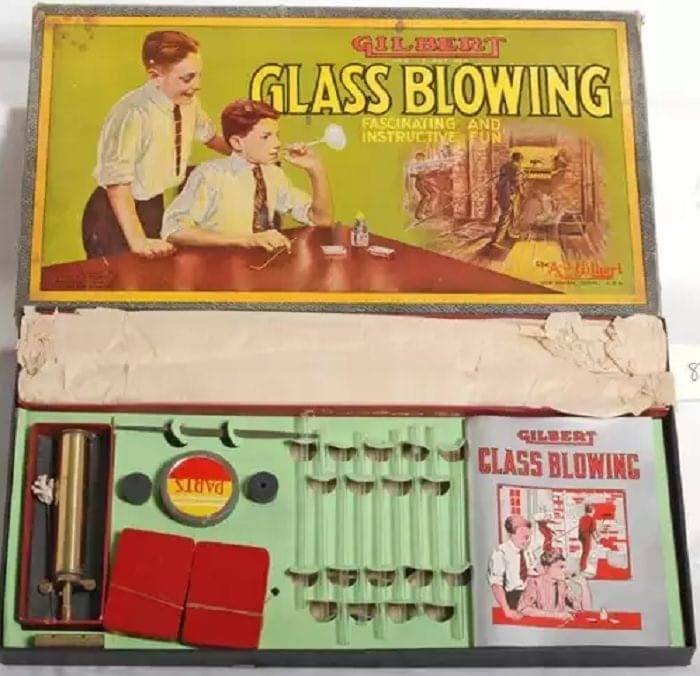 Nevertheless, one company thought it would be a great idea to get kids learning the art of playing with fire and glass… as well as glass that is on fire! Yes, these children were given all of the tools they could possibly need to make a lovely glass ornament for their bedroom, but it’s safe to say that the trend didn’t last too long. Thank goodness for that! Getting babies into the water at an early age is of high importance to some parents. They want to get their children comfortable with floating and swimming as quickly as possible, and using Inflatable Baby Boats became an incredibly popular way of doing this in the mid-00s. However, one specific company found themselves in deep water when the straps that were supposed to keep the babies above the water began to snap when they were used. Before the boats were recalled, the lives of 30 babies were put in jeopardy. 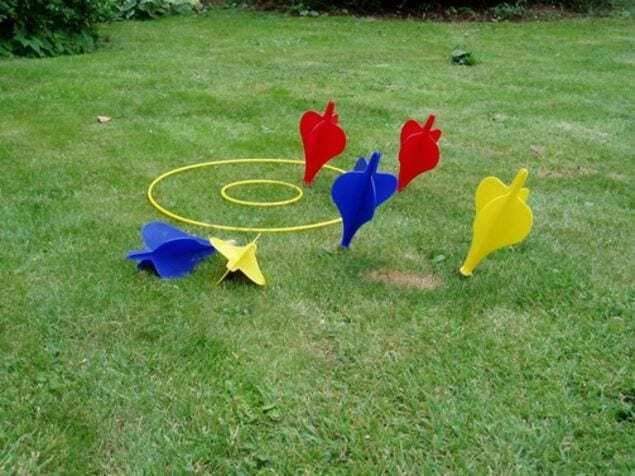 Whoever thought that giving children the chance to throw giant metal darts around their backyard was a good idea obviously needs to go back to toymaking school – because it definitely isn’t! In fact, it didn’t take long for people to worry about the darts that their children were playing with, especially when children started to end up in hospital. Before the game was eventually recalled, three children sadly passed away, and one child even ended up in a coma. Thankfully, they were taken off the shelves before more damage could be done. No matter where you go in the world, children will always get excited over dolls, no matter their shape or size. Yet, kids were even more excited when Polly Pocket released a brand new doll that could wear different clothes that you could change yourself. These clothes were attached using magnets – which we already know are incredibly dangerous around children. In fact, magnets and children normally ends in disaster! 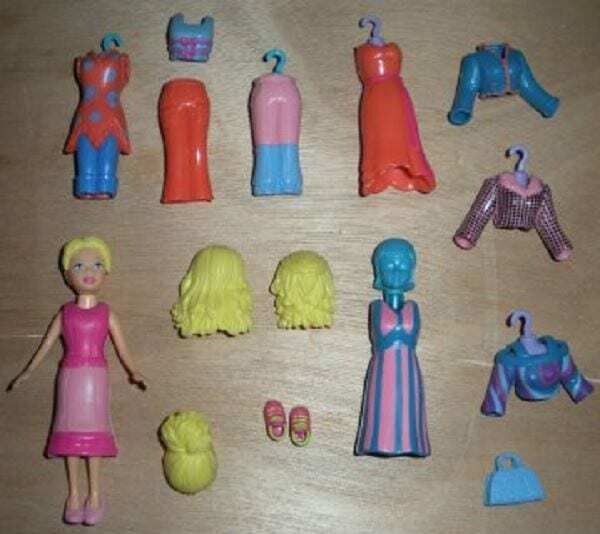 The Polly Pocket doll was eventually recalled after children started ingesting the magnets while they were playing with them. 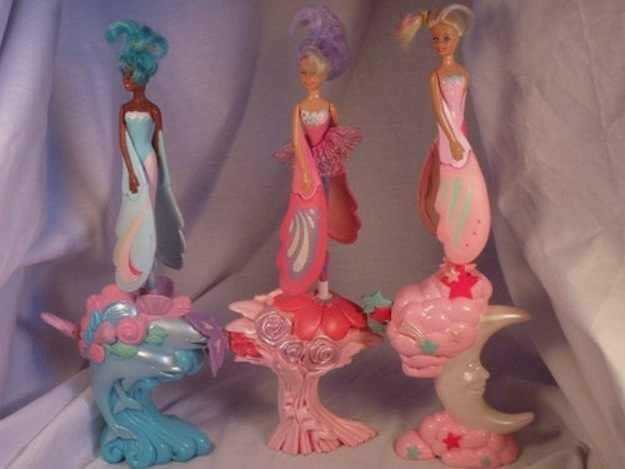 If you grew up during the 1990s, there’s a high chance that you had a few of these in your bedroom. After all, Sky Dancers were so cool! Not only were they beautiful, but you also had the chance to make a fairy fly – and who doesn’t want to do that? While in theory these toys were both entertaining and engaging, when you really get down to business, they are super dangerous. As soon as you fling them up into the air, this game suddenly becomes a game of dodge-the-flying-piece-of-plastic that is flying right towards your head. Although many of us look up to Bart Simpson for his rebellious ways and his humor, many kids have also looked up to him because of his slingshot. Awesome, right? 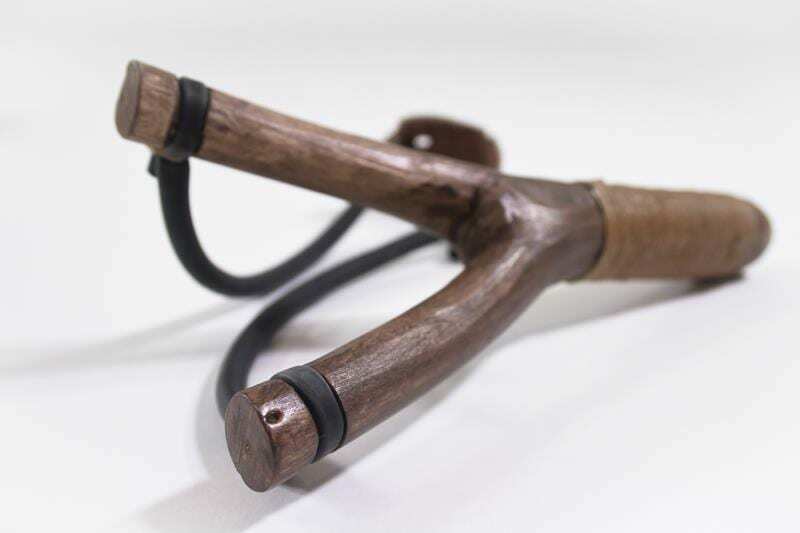 Well, you might find it difficult to find a slingshot in stores nowadays, as one of the most popular slingshots was recommended by the Consumer Product Safety Commission to be banned back in 1969. With an ability to shoot all kinds of objects into the air, you don’t need to be a genius to work out why this toy was considered dangerous. 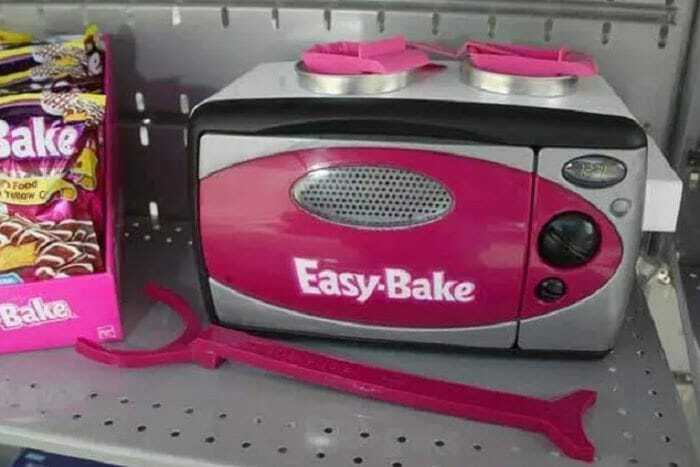 Although toys are meant to entertain, they are also meant to educate and get them prepared for adult life, which is why the Easy-Bake Oven proved so popular. 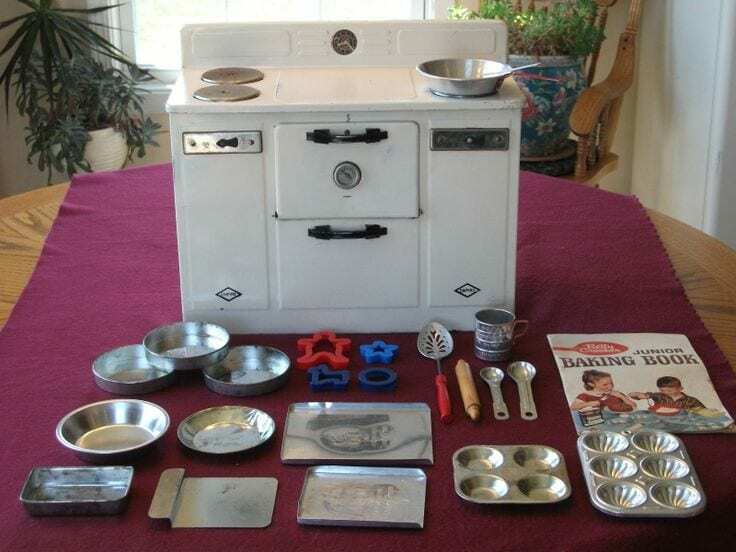 This toy oven gave children the chance to start making their own cakes and baked goods – and most kids absolutely loved it! Sadly, the construction of this oven was not foolproof, and they soon received reports that the front-loading oven would catch the fingers of eager children even while it was on. Thankfully, the design was later remodeled to remove the chances of injury. 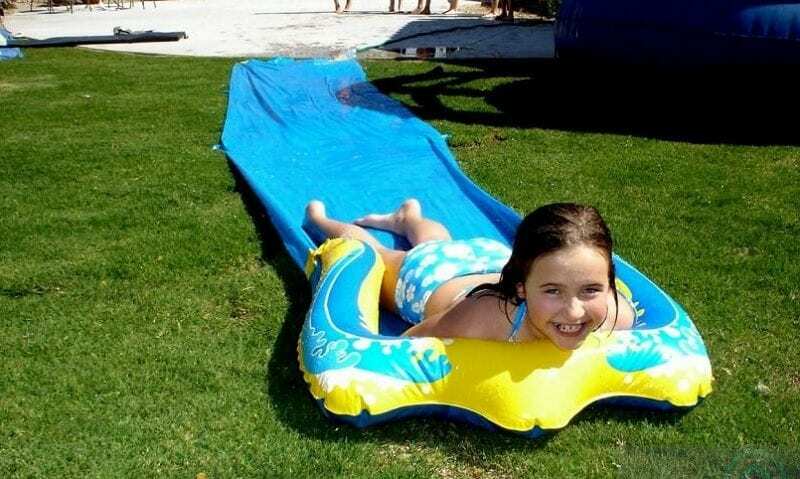 Would any summer party be complete without a Slip ‘n Slide? We think not. Nowadays, it’s incredibly easy to create your own in your own backyard with just a slip of plastic, some water and some soap – but back in the 1970s and onwards, people would rely on the actual product to get them through the party season. However, many adults and children soon found themselves adding all kinds of injuries to their boo-boo book. That might be why we’re now just making our own fun in the sun instead.